Traffic warrants are not something to be nonchalant with. They will not go away if ignored. In fact, law enforcement can take a traffic warrant seriously and make an arrest. Getting arrested is usually not the best way to deal with a warrant. You do not want to go to jail. That makes the process so much more challenging. Whether you merely forgot to handle a ticket, or you have numerous outstanding warrants, the best course of action is to engage the services of a law firm that specializes in traffic violations and lifting warrants by filing a non-arrest bond. These attorneys have experience in helping individuals deal with the warrants associated with traffic tickets. They have access to the court system’s database enabling them to find the information quickly and start the procedure of handling the warrant. Before we discuss what to do about warrants for traffic tickets, it is a good idea to take a look at the perceptions that people tend to have about warrants and why so many are wrong. Warrants are like anything else: there is a lot of information available about them, and much of it is incorrect. It is not easy to sort out the facts. One thing is certain. It is never a good idea to rely on any information other than what a qualified attorney tells you. 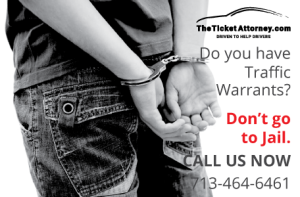 The ticket is dismissed if the arresting officer does not show up even if you do not show up. This is, unfortunately, one of the most widespread misconceptions about traffic court. Missing a scheduled court date based on the assumption that the officer will not show up will lead to a warrant for your arrest. Warrants are ignored by law enforcement – It is believed by many that traffic violation warrants are not worth wasting a law enforcement officer’s time to serve one, and that the police have more important matters to focus on. That could not be further from the truth. Depending on the offense, a traffic violation can result in an arrest. However, by signing the ticket, you are promising to appear at a later date for court. In many traffic courts, like the City of Houston, failing to appear for the court date will ensure that a warrant will be issued automatically in due time. Moreover, a police officer can arrest you if you are pulled over with an active warrant, and they may come to your home or place of business. It is important to deal with a traffic warrant before it results in your arrest. Warrants go away in time – Not true. There is no statute of limitations on an outstanding warrant. It will stay in the system until it is resolved. Take care of the warrant as soon as possible to avoid any unpleasant surprises in the future. Paying the ticket eliminates the warrant – This is true. During the annual Texas warrant roundup, courts will tell you this. Unfortunately, they do not go on to say that -paying an outstanding ticket results in a permanent conviction on your driving record, which can also lead to surcharges and a license suspension, depending of the charged offense, not to mention the adverse impact on automobile insurance premiums. Get help – You may be tempted to defend yourself in court, but without knowing the finer points of the law, and having courtroom experience, you are likely doing more harm than good. When you work with an experienced ticket attorney, the chances of being arrested for an outstanding warrant significantly decrease, as do the chances of adverse effects on your driving record and driver’s license. The money spent on a lawyer is well worth the relatively small investment in the long run. It is easy to misunderstand how the traffic laws work, especially if a violation has gone into warrant status. A lawyer skilled in traffic warrants can lift a warrant, plead or dismiss your case to prevent a conviction, and minimize associated fines, collection fees, and court costs. Avoiding arrest is imperative. A trip to jail can be traumatic, humiliating, costly, and can be prevented with the right help.